A journal about exploring the world. [2014/03] "Dubai Camel Ride". UAE - Dubai. Desert safari tour. The camel, having two large humps on its back, drinks up to 80 liter at a time and stores the water in the blood circulation. The camel is a mammal in the Artiodactyla Camelidae family and they can be divided into two groups, the Dromedary (one hump) and Bactrian camels (two humps). Camels have a relatively calm demeanor and have been facilitating travels in desert areas for a long time. Let's take a trip! Within Japan and the rest of the world! This is the international flight information board, located in the basement of Narita International Airport. From here, airplanes are taking off to places all over the world every day. In the basement of Narita International airport there are train stations for JR Lines (Japan Railways) and Keisei Dentetsu (Keisei-railway), as well as a convenience store. On first floor it is also possible to access Skymark (a Japanese low-cost airline company), which has led to an increase of people from provincial cities and towns traveling directly abroad. At the international departure lobby on the third floor in terminal 2. Rows and rows of check-in counters filled with sings of different international airline companies, servicing people from all over the world. On this floor you can also find and currency exchange office, coin lockers, luggage storage and a post office. By the way, if you are looking for the immigration control gate and the departure area for domestic flights, then you'll have to go to the second floor. As of May 2014, there are four international airports in Japan: Narita, Haneda, Chubu Centrair and Kansai International Airport. Additionally, daily flights depart oversees from 25 regional airports. Since over 10 flights depart internationally from Fukuoka Airport and New Chitose Airport every day, these airports could also be considered international airports, don't you think? Hiroshima Airport, Naha Airport and Sendai Airport closely follow. While the amount of international flights differ every year, overall, it seems that the flights are increasing. According to the Immigration Bureau of Japan, in 2011, the number of Japanese people traveling abroad was 16,990,000. Partly due to the introduction of low cost carriers, the price of international tours has become quite a lot cheaper, thereby increasing the number of Japanese people traveling abroad. Looking domestically, tourist areas like Okinawa, is also experiencing an increase in visitors every year, which also goes for foreign visitors. While traveling, experiencing new things is always a possibility and some things can only be experienced from travels. No matter how many times you travel, there is always something new to discover. All right! I'm booking the next flight. Are you coming? What activity will you do in Hawaii. [PR] World Clock of multiple time zones. 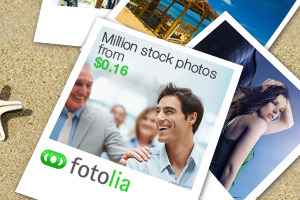 If you are looking for stock Photos. - A journal about exploring the world. Introduction of Remar Pro. International providing services.